Product information "Toiletpaperdispender in white made of plastic MP620"
Very practical toilet paper dispenser for 500 pcs. Thanks to its small, practical size it fits in every toilet, whether small or large, whether narrow or wide, the toilet paper dispenser fits everywhere. 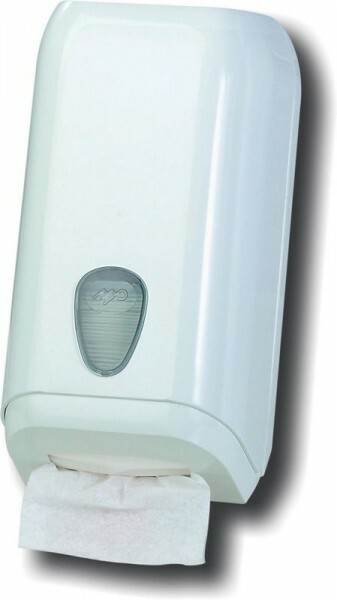 Related links to "Toiletpaperdispender in white made of plastic MP620"
Further products by Marplast S.p.A. Customer evaluation for "Toiletpaperdispender in white made of plastic MP620"